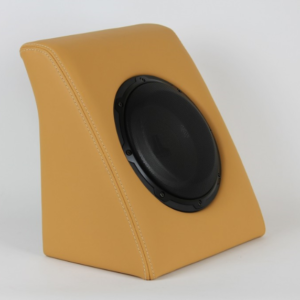 These enclosures follow the lines of the mighty TR and accommodate up to five JL Audio 8W1v2 8" subwoofers. 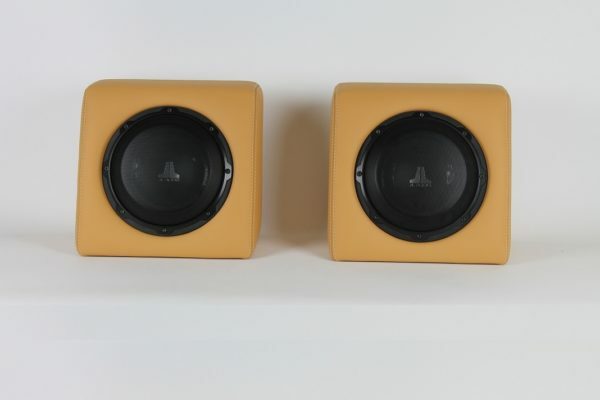 The standard system is composed of two enclosures that hold one subwoofer each. 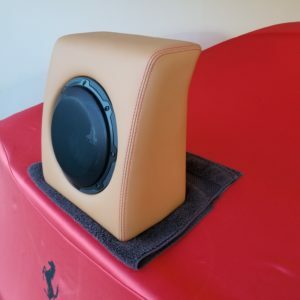 Auto CAD designed, CNC manufactured and wrapped in Ferrari OEM leather and stitching. 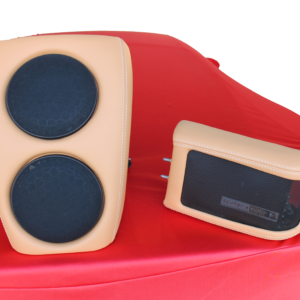 Four subwoofer system add $400. 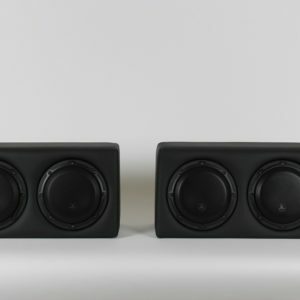 Five subwoofer system add $500.